Shane Tewes is Head teacher of Woodside Primary Academy and asked for The Country Trust’s help to achieve his aim that every child should know 36 recipes by the time they leave school. Now every child in Year Four of the six form entry Reach2 Academy school takes part in the ground-breaking initiative. The Lady Mayoress of the City of London, Samantha Bowman, visited Woodside Primary Academy to see children working with Country Trust Co-ordinator, Poppy Flint, to make their own nutritious soup using seasonal vegetables. Pupils are growing their own vegetables and herbs in school and Poppy is teaching them to prepare and cook delicious meals using fresh, healthy ingredients including the produce they’ve grown. They explore and taste new foods, organise and run their own playground farmers’ market learning all about pricing, profit and the art of selling, visit local farms, meet local Food Heroes, and prepare and share a harvest feast with friends and family. At the heart of the Food Discovery programme are class visits to farms close to London, but a world away from urban life, where pupils are welcomed by farmers who explain and give them first-hand experience of how their food is produced. The programme at Woodside also includes training for teaching staff making the project sustainable for the future. 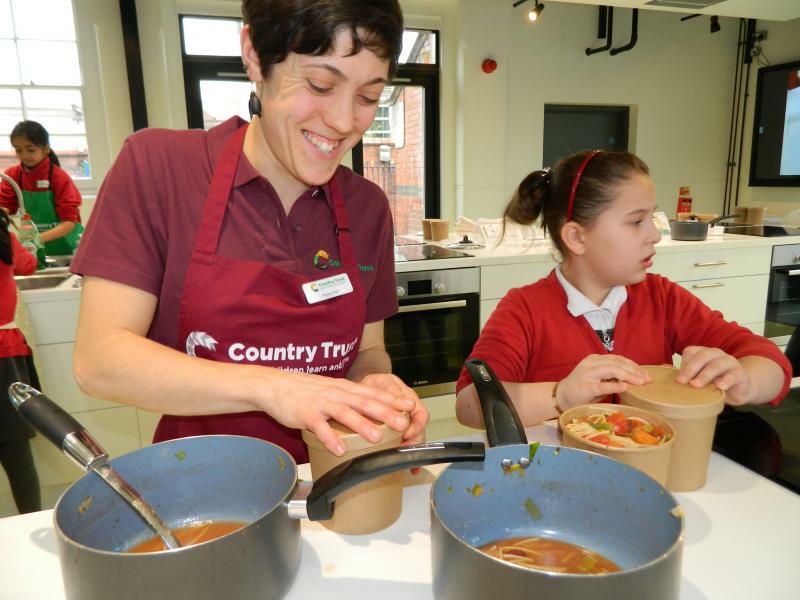 The Food Discovery programme is supported by class visits to local farms where pupils are welcomed by farmers who explain and give them first-hand experience of the journey of British food. The programme at Woodside also includes training for teaching staff making the project sustainable for the future. The Lady Mayoress left each of the children with a gift from the mayoral office of a special Lord Mayor's show pencil case. The Lady Mayoress who is a veterinary surgeon by profession has a passion for food and farming and keeps her own small flock of sheep. 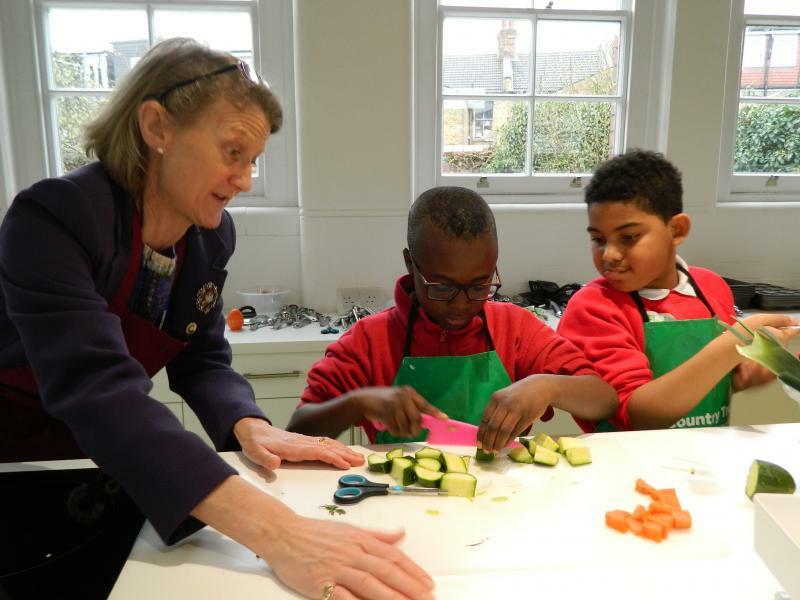 During her year in office alongside her husband, the Lord Mayor of the City of London, Charles Bowman, she has been particularly focussing on the emotional health and wellbeing of children within the city and supports a number of charities working in the area.